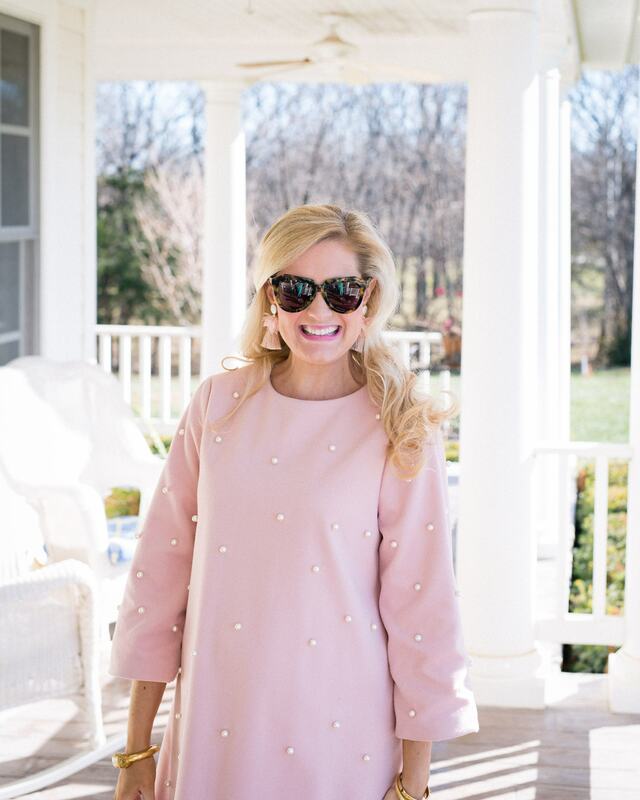 Today on the blog is the darling pearl dress I wore to a family shower we had a couple weeks ago! This dress from SheIn is only $27 and was the perfect outfit to celebrate having a baby girl! It’s non-maternity and runs true to size. (I sized up one size to accommodate the bump.) The material is very thick, and I was definitely impressed with the quality for the price. I paired it with these fun pom pom tassel shoes from SheIn. They are currently out of stock in the cream version, but also come in black, navy, burgundy, and green. I’ll keep you updated though, because they have already restocked the cream pair a couple times! 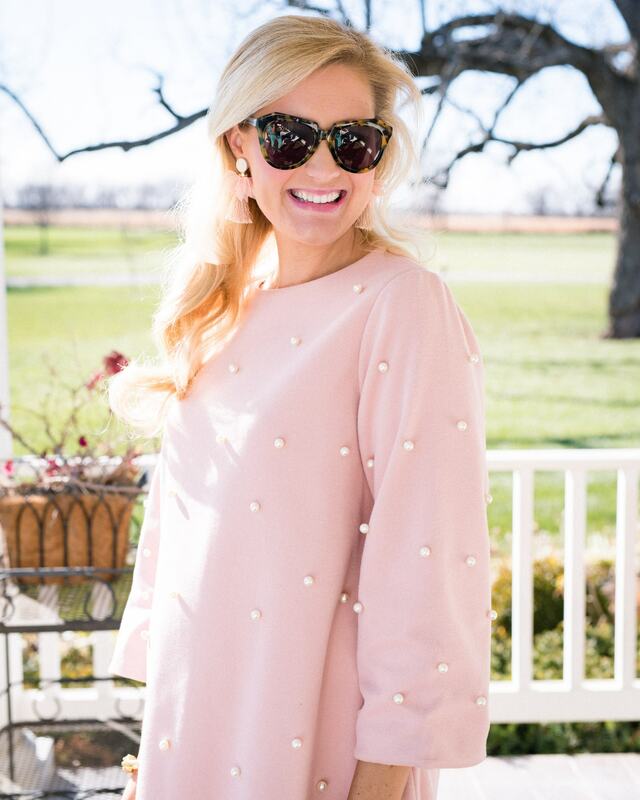 I also wanted to share with you one of my new favorite online boutiques called The Loupe for jewelry and accessories! They recently launched a new line called Kate and Mari made from natural materials and gold finishes! My pearl chiffon tassel earrings are absolutely stunning and such great quality! This week, you can take 20% off your order sitewide with code "HOLIDAYS".